4. How Long Has This Been Going On? 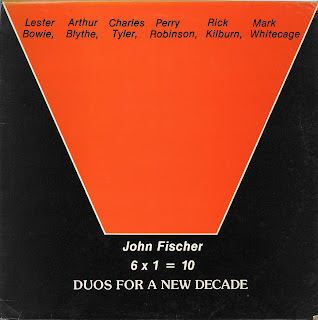 The final in a small sequence of records here from 1970's ENVIRON loft chief John Fischer - this time without his full group INTERface - but instead in duo performances with group members and others on the loft scene. The New Decade of the title was the dawning of the 1980s. How madly futuristic and post-post modern it sounded at the time - the year 1980. Wow. 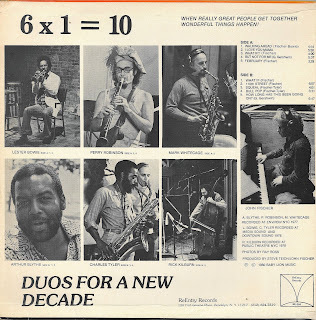 By 1980 - when this record was released, the New York jazz lofts were on the wane - many had fallen by the wayside. Fischer's ENVIRON first moved from it's original Broadway premises to a few blocks along the street. But ENVIRON was closed, or closing soon, by the time this LP was released. Perhaps significantly for a record looking forward to the new decade - the most recent piece is at least 2 years old (1978). 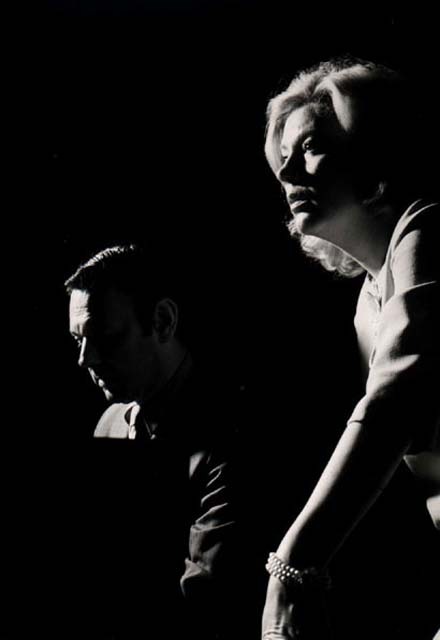 According to the notes, all duets here were recorded 1977 / 1978. Also according to the notes - the tune 'What If' opens side B - which it doesn't ( it is on side A). 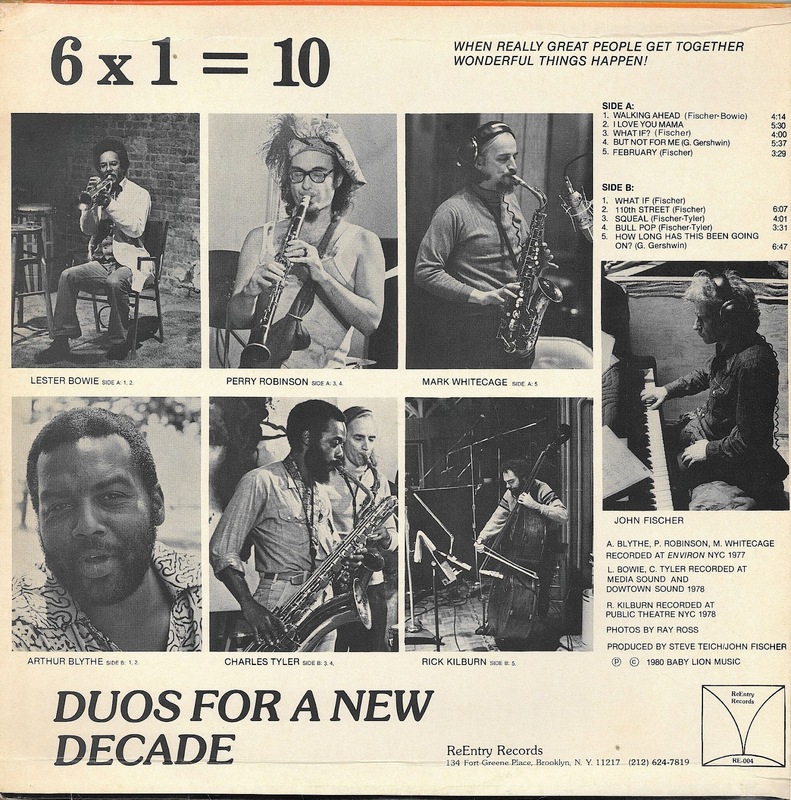 Also according to the notes - Arthur Blythe is on 2 tracks - I have him on just 1 The order of the 2 Charles Tyler duets is also wrong - according to me. Basically, I think they made a mess with the track listing on Side B - and my corrected version appears here. If anyone has been following the INTERface 'thread' here - some elements here will be familiar - the tunes February and What If have appeared on earlier records (diff versions though) - and Fischer enlists Lester Bowie for one of his 'poum' vocal pieces (I Love You Mama). No one plays poorly and the record remains interesting throughout. For my money though, the 2 tracks with Charles Tyler are the absolute standouts and worth the price of admission.alone. The price of admission here in 2012 is of course - free. So that should work well for most people. Hope that some people get something out of this then. Yes this is very good - also your sketch about the background story. I suggest an expanded version - I would even pay for it - I love it. Again - thank you for the music and the greatly appreciated story(s).